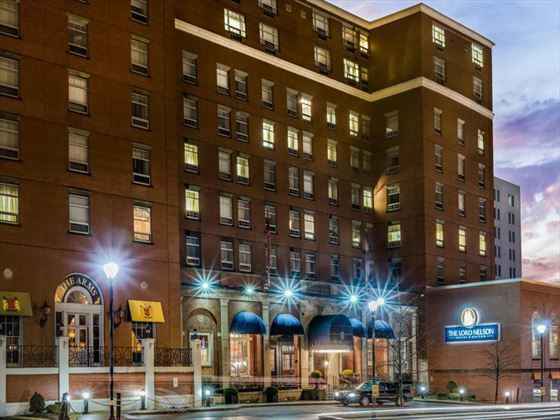 Situated in a prominent downtown Halifax location across from the Public Gardens, this legendary landmark is the city’s most historic hotel, dating back to 1928. 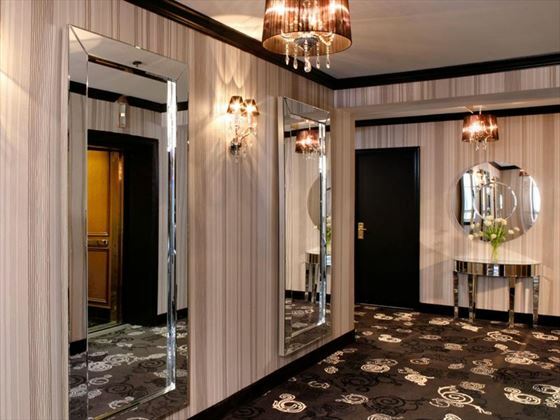 The elegant property is also renowned for its luxurious interiors that feature a mix of old and new, with rich dark wood in the lobby, and renovated urban chic rooms, as well as for hosting a number of celebrities, including Paul McCartney and The Rolling Stones. 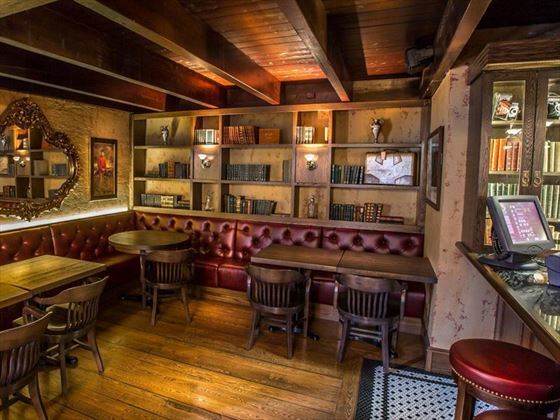 Guests will appreciate the especially warm hospitality, the gorgeous old English ambiance of the lobby with its ornate high ceilings, large arched windows and chandeliers, as well the fabulous front porch for reading and relaxation. 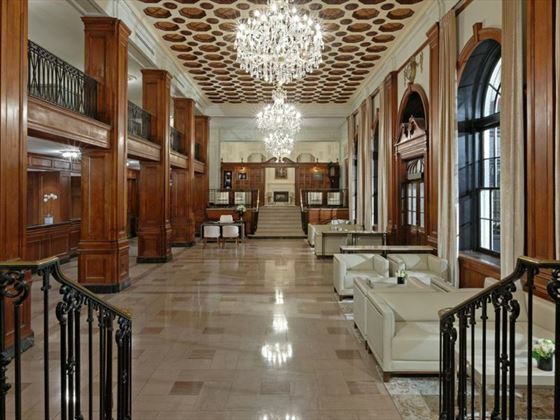 Impressive amenities abound, including complimentary newspapers, local calls and Wi-Fi. 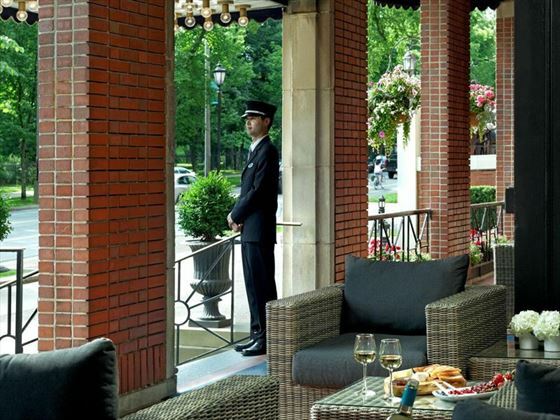 The hotel’s revamped restaurant serves high-end pub food in a comfortable atmosphere, while happy hour can be enjoyed on the balcony that overlooks the gardens. The well-equipped fitness centre, with treadmills, a recumbent bike, elliptical trainer, free weights and universal weight machine, makes it easy to work off those delicious meals and beverages too. Classic – These 275-square-foot rooms include one queen or two double beds, all provide standard amenities as listed above, including a 32” flat screen TV, Aveda spa products and complimentary coffee services. Executive Club – Slightly more spacious with 300-square-feet, these rooms feature one queen, one king or two double beds with all standard amenities plus bottled water, guest robes, iPod docking stations, evening turndown service and a complimentary continental breakfast. Executive Plus – The 350-square-foot Studios feature one king or two double beds as well as a kitchenette that includes a microwave, bar refrigerator, dishes and cutlery along with all standard amenities plus guest robes, bottled water and turndown service. Parkview Suite – Parkview Suites include a king size bed with a separate living area, along with everything the Executive Plus rooms offer in 400-square-feet of space. 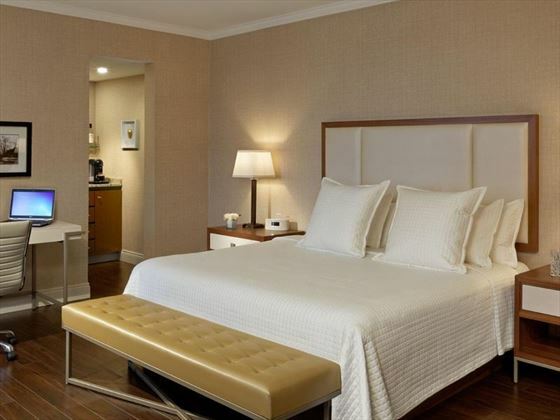 Deluxe One Bedroom – The Premier Suites feature a king size bed and 600-square-feet of space with lavish, spacious bathrooms boasting granite countertops, plus everything the Parkview Suites include. Petite Rooms – These smaller budget-friendly rooms offer a cozy, comfortable stay with all standard amenities, including Aveda spa products and complimentary coffee service. 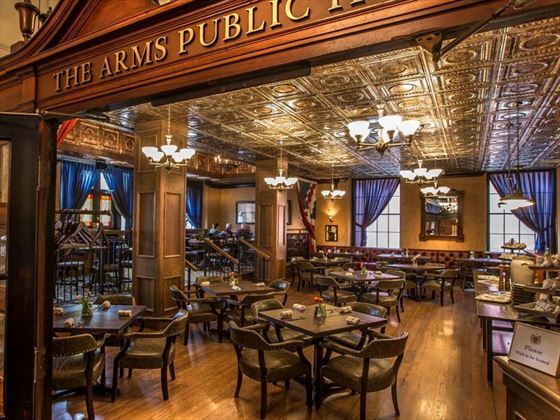 The Arms Restaurant – Open for breakfast, lunch and dinner until midnight weekdays and 1 a.m. on weekend nights, this restaurant serves traditional English pub fare and a variety of international dishes. 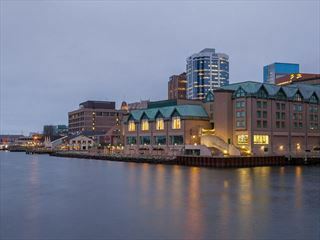 Set right downtown across from the Public Gardens and the historic Halifax Citadel Fort, the location is unbeatable. Not only are guests just steps away to some of the city’s most popular tourist attractions, but the picturesque waterfront, upscale dining and shopping, and a host of entertainment.